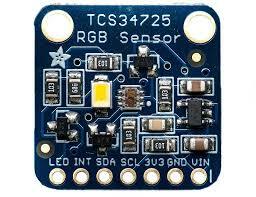 The TCS34725 device provides a digital return of red, green, blue (RGB), and clear light sensing values. An IR blocking filter, integrated on-chip and localized to the color sensing photodiodes, minimizes the IR spectral component of the incoming light and allows color measurements to be made accurately. The high sensitivity, wide dynamic range, and IR blocking filter make the TCS34725 an ideal color sensor solution for use under varying lighting conditions and through attenuating materials. 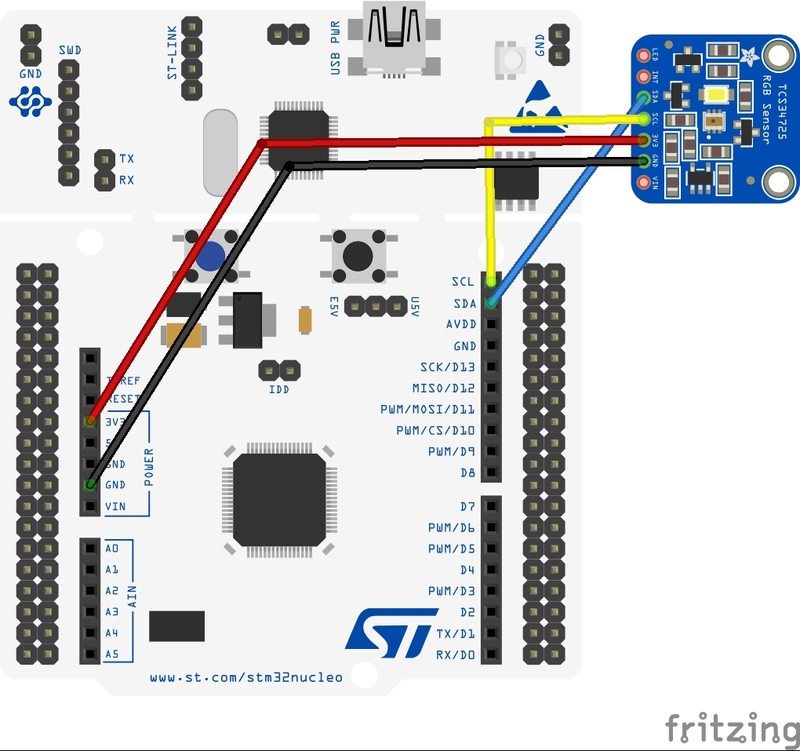 This data is transferred via an I2C to the host.